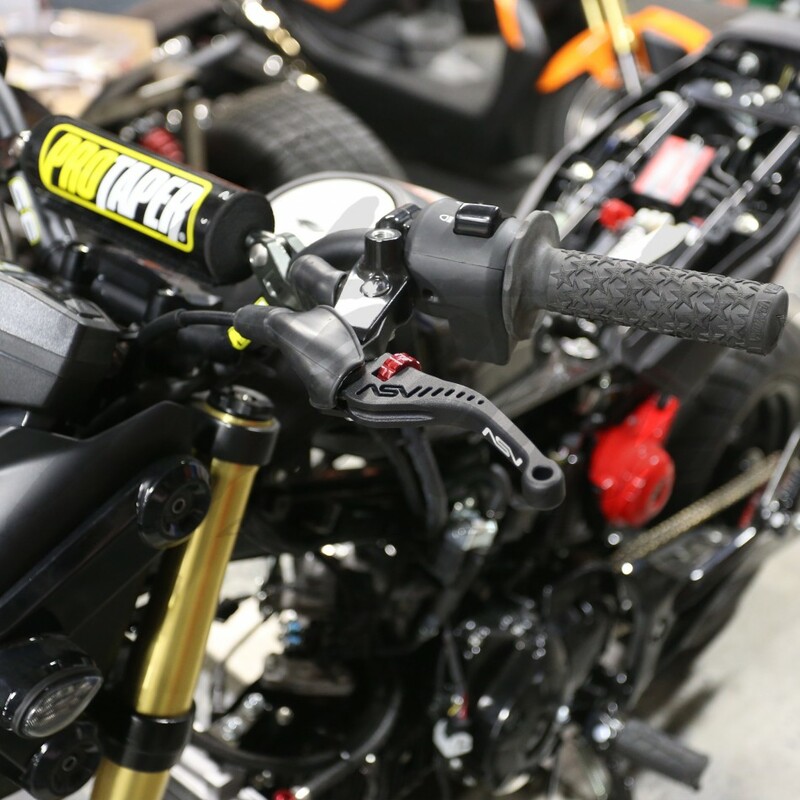 ASV Inventions C5 series adjustable clutch and brake levers for Honda Grom Monkey 125. ASV levers are known to be unbreakable, featuring a special pivot design, up to 4" of adjustable reach, micro adjustable reach with 180 increments, and precision sealed bearings used in the pivot. 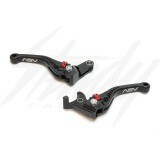 ASV shorty levers are 1-1/4" shorter than stock! Sold individually or as a set, please select from the drop down menu. 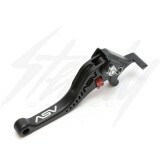 ASV levers are designed to be a universal fit. 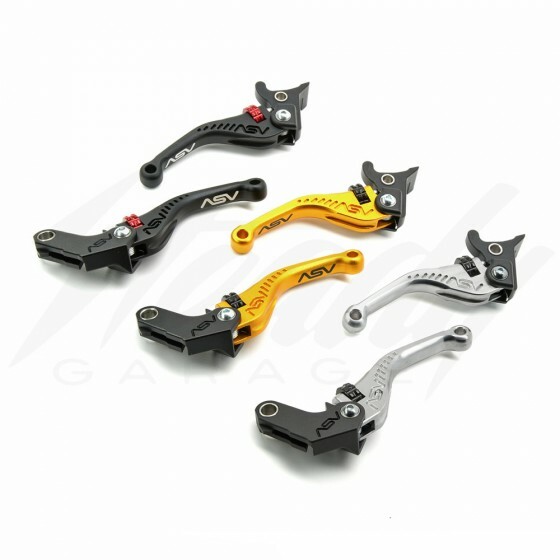 Our universal clutch levers include a perch so they fit all makes, models and years of motorcycles and ATV's. Our front brake levers have also been engineered to fit a wide variety of bikes. 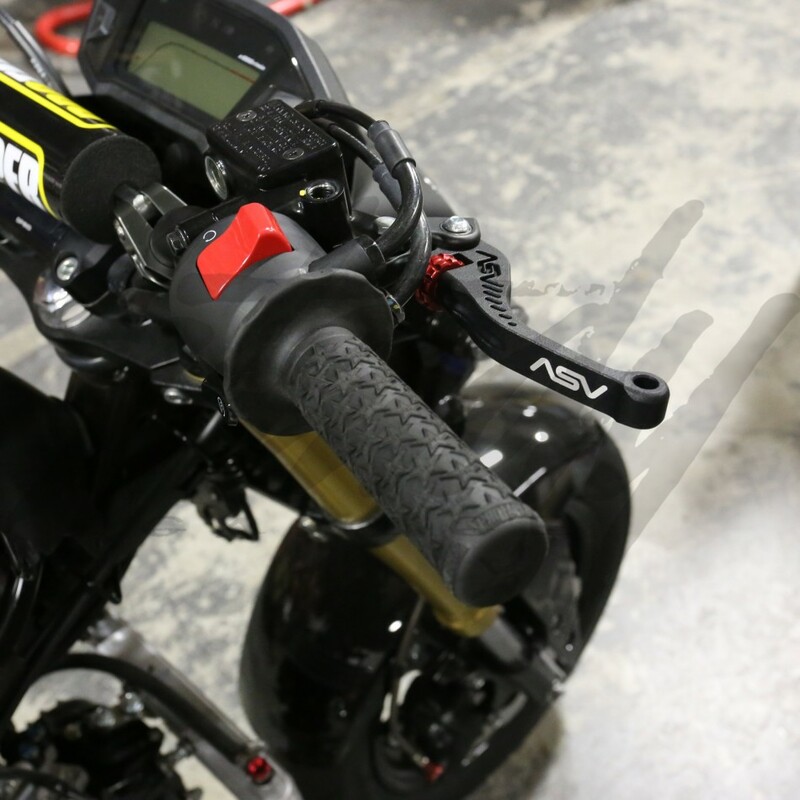 This allows you to keep ASV levers and re-install them on your new bike. 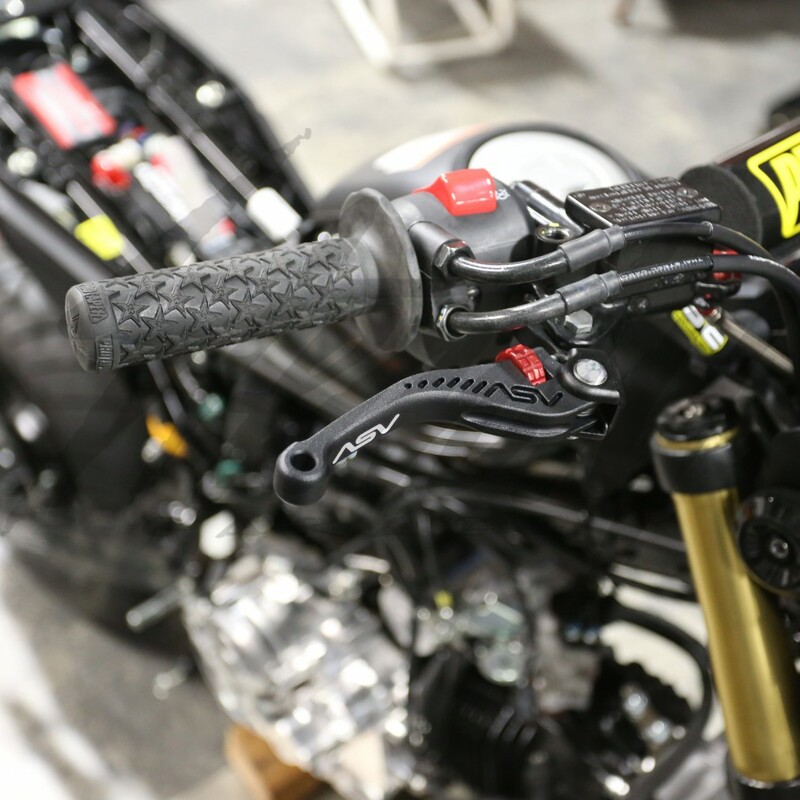 Most other manufacturers sell year make and model specific levers. This forces you to buy new levers every time you get a new bike. 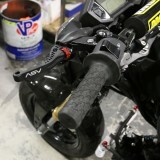 Not ASV. When you buy a pair of ASV levers, you will get years of use out of them, even if you change motorcycles over the years.